The Royal Australian Navy (Navy) operates eight ANZAC class frigates. The frigates were commissioned between 1996 and 2006, and form part of Navy’s core surface warship capability. The ANZAC class is used to: conduct surveillance and patrols; protect shipping and strategic areas; provide naval gunfire in support of the Army; and undertake disaster relief and search and rescue activities. The ANZAC class is half way through its original service life-of-type. The first frigate was expected to be withdrawn from service during 2024–25 and the last during 2032–33. In June 2018, the Australian Government announced that Hunter class frigates (under the SEA 5000 program) would replace the ANZAC class of ships, with the first Hunter class frigate scheduled to enter service in the late 2020s.1 To accommodate the design, build and introduction into service of the Hunter class frigates, the ANZAC class’ original withdrawal dates have been extended, with the first frigate to now be withdrawn in 2029–30 and the last in 2042–43. The Department of Defence’s (Defence) Capability Acquisition and Sustainment Group is responsible for the sustainment of the ANZAC class. Navy has advised the Capability Acquisition and Sustainment Group of its requirements and budget for the sustainment of the ANZAC frigates in a Materiel Sustainment Agreement. The budget for the sustainment of the eight ANZAC class frigates for 2018–19 is $374.0 million — 15 per cent of Navy’s overall sustainment budget of $2,422.4 million for that year. The approved budget to sustain the ANZAC class from 2018–19 to 2026–27 is $3.4 billion. While the ANZAC class frigates are meeting Navy’s current capability requirements and continue to be deployed on operations in Australian, Middle Eastern and Asia-Pacific waters, Defence has been aware since at least 2012 that sustainment arrangements have not kept pace with higher than expected operational usage. Further, Defence cannot demonstrate the efficiency or outcomes of its sustainment arrangements, as the necessary performance information has not been captured. Defence will need to address relevant shortcomings in its sustainment arrangements to meet the requirement that the ANZAC class remain in service for an extra 10 years to 2043, pending the entry into service of the replacement Hunter class. The effectiveness of Defence’s framework for sustaining the ANZAC class frigates has been reduced because the sustainment plans and budget outlined in the ANZAC class Product Delivery Schedule in Navy’s Materiel Sustainment Agreement do not align with the frigates’ higher than expected operational use. Defence has been aware of this misalignment since at least 2012. 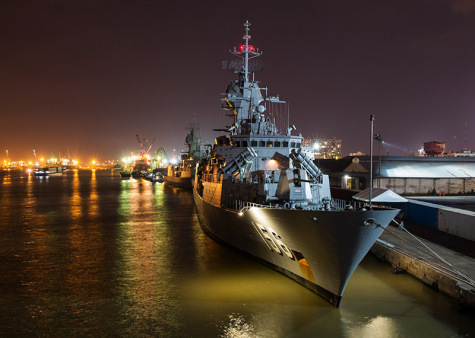 Defence’s advice to the government to extend the ANZAC class’ life-of-type to 2043 was not based on a transition plan or informed by an analysis of the frigates’ physical capacity to deliver the required capability until then. Navy will need to address potential risks, relating to the frigates’ material condition, to maintain seaworthiness and capability. -- not complete — as the measures do not address sustainment outcomes and efficiency. In 2017–18 most of the Key Performance Indicators reported against were consistently not met. The transparency of external reporting on the ANZAC frigates’ sustainment expenditure is reduced as it does not include Defence staffing costs or operational sustainment expenditure. Defence entered into a sole-sourced alliance contract with its existing industry partners, without a competitive process. It is too early to assess the effectiveness of Defence’s administration of the new contracting arrangements, known as the Warship Asset Management Agreement, which took full effect in January 2018 after an 18-month transition period. Defence’s regular internal performance reporting and monitoring does not capture the performance of the Agreement. Click here for the full report (69 PDF pages), on the ANAO website.